Last year I went as the Paper Bag Princess for Halloween. 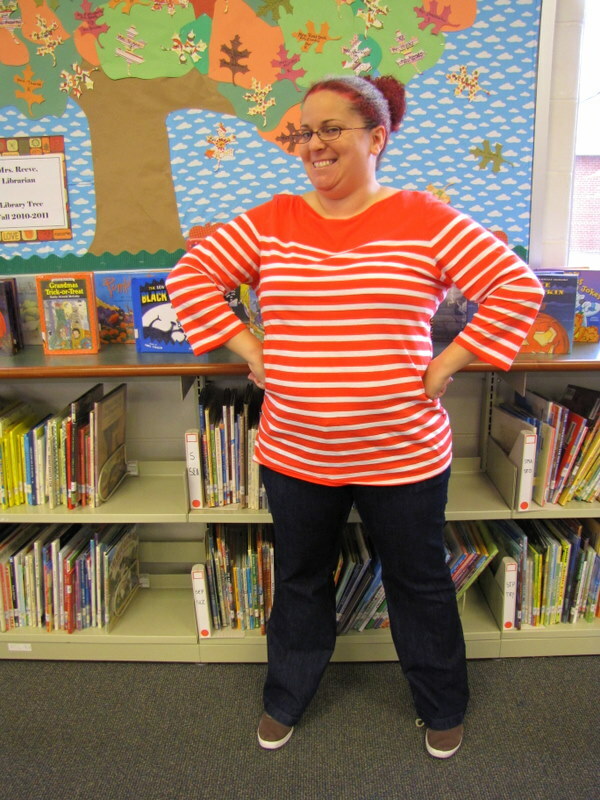 This year all the teachers decided to dress up as Waldo. 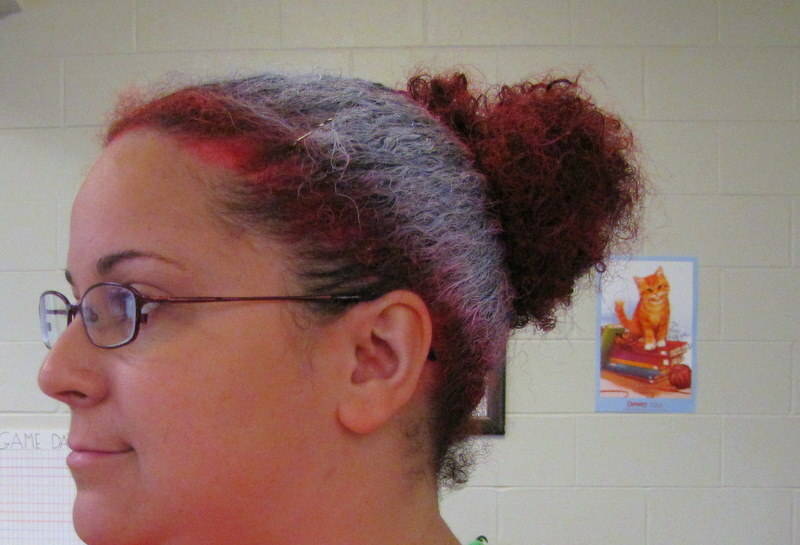 I decided I had the perfect hair for Waldo’s hat, so I spray painted my hair red and white (with Adam’s help!) to look like his hat. I kind of loved this costume! The shirt was $10 at Old Nay, then $6 for hair paint and I was done. 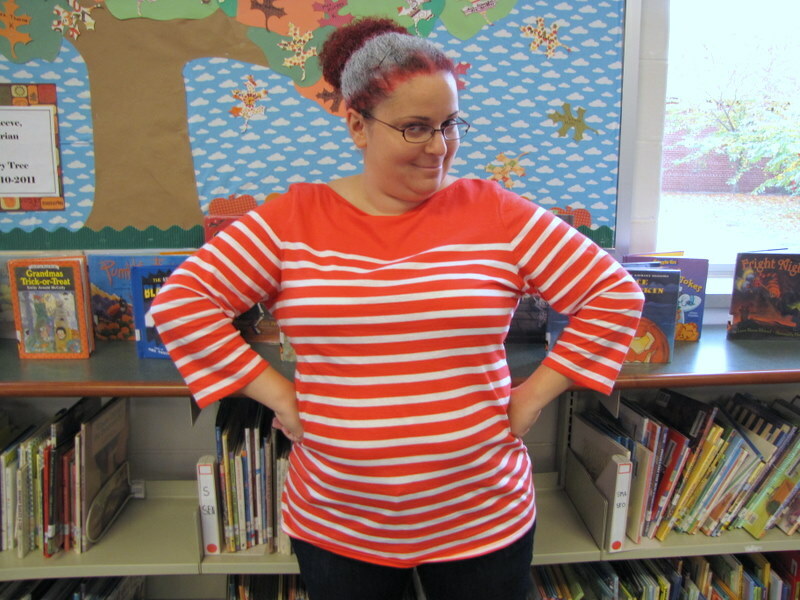 And the kids got such a huge kick out of seeing me with my hair dyed, although a lot of them thought I was the Cat in the Hat. Travelogue: Paris, Day 4 and Happy New Year!